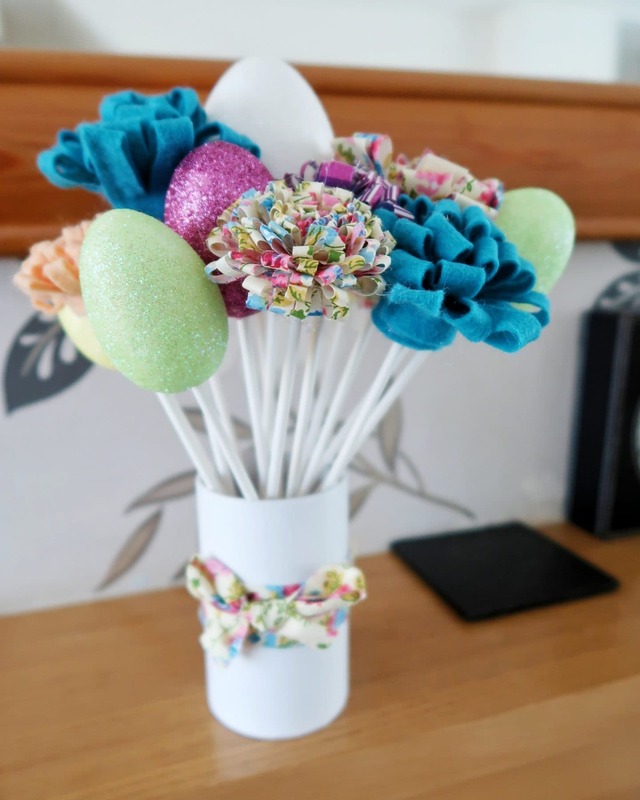 The Bostik Blogger theme for this month is Easter and I have created two crafts that you can combine to create an Easter centrepiece – perfect to decorate the Easter dinner table or just brighten up your mantelpiece. 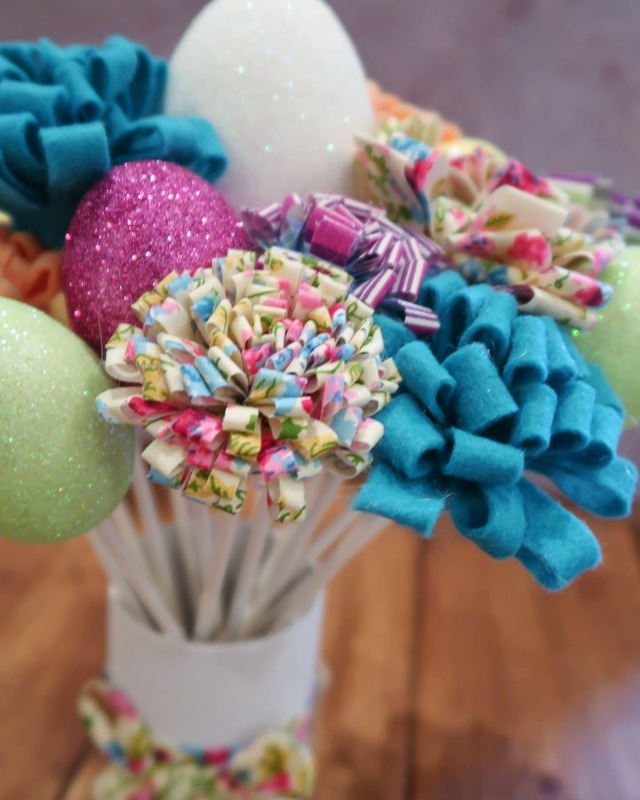 Glitter eggs are really fun to make and children love getting involved (and covered in glitter) Fabric flowers are also so simple to make and look really effective at any time of year. 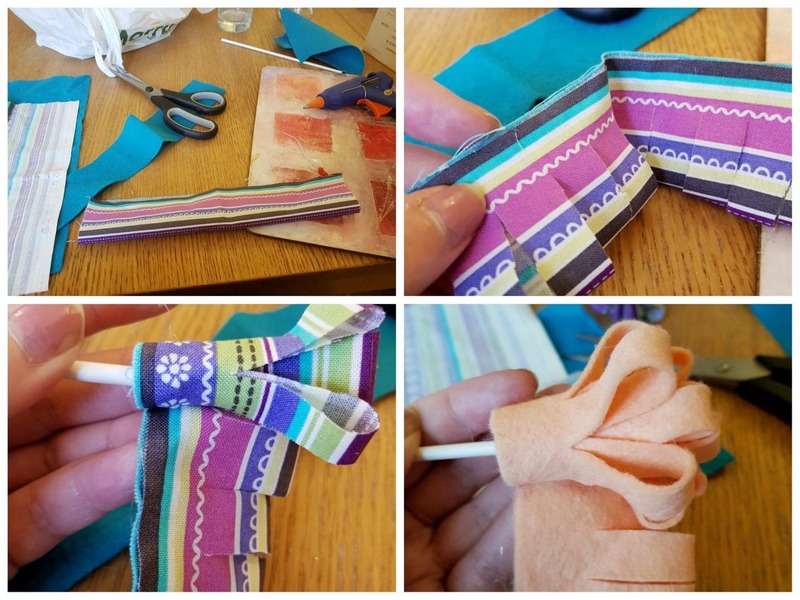 Firstly, cut off strips of fabric in various sizes. Mine ranged from around 6cm in width to 20cm in width. 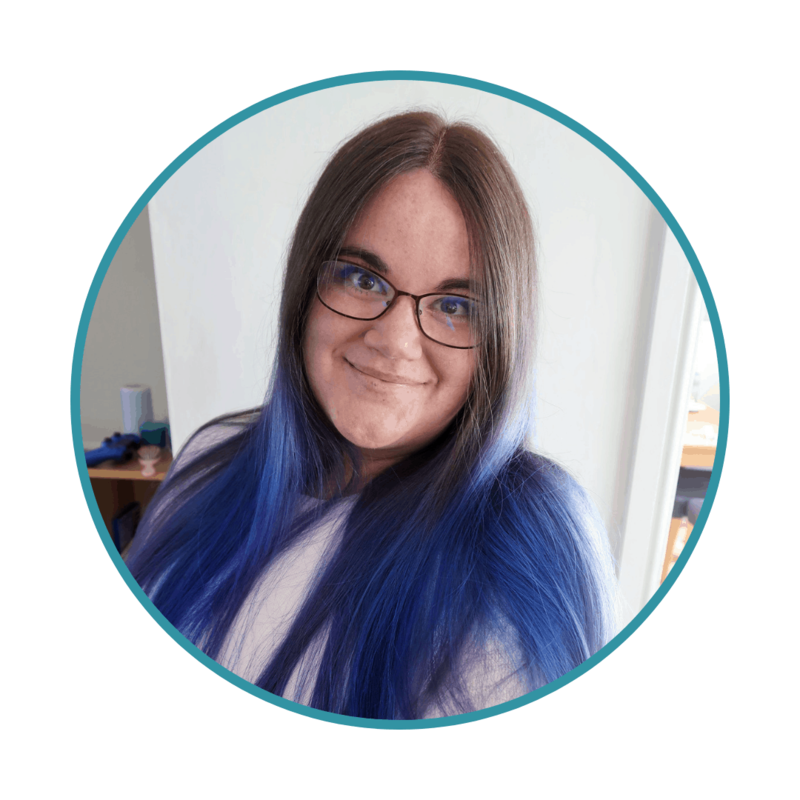 Make sure the strips are fairly long – 40cm or more. Next, fold the fabric in half so that the best side shows and glue together. Then, glue the two sides of the fabric so that you have an enclosed, folded strip. Take a pair of scissors and cut lines that are an equal distance apart along the whole length of the fabric. Take care to leave a centimetre or two at the glued end so that you do not completely cut through the fabric strip. You can choose different intervals when cutting into the fabric – different sizes of material and different cuts create different sizes of flower and petal. 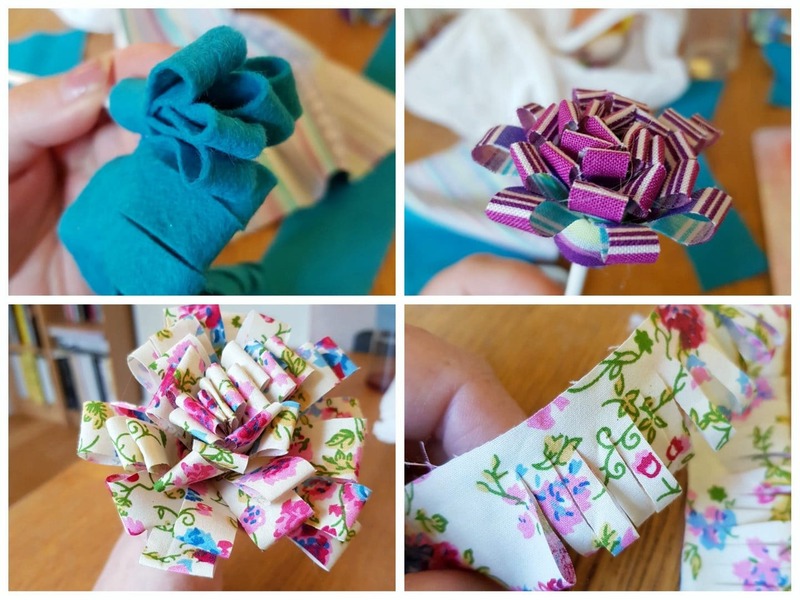 Finally, use the hot glue gun to glue the fabric to the stick, wrapping the fabric around the lolly stick in a spiral, until you have created a flower shape and can glue the final end of the fabric down. These are so easy to make and Littlest had so much fun helping me make them glittery. 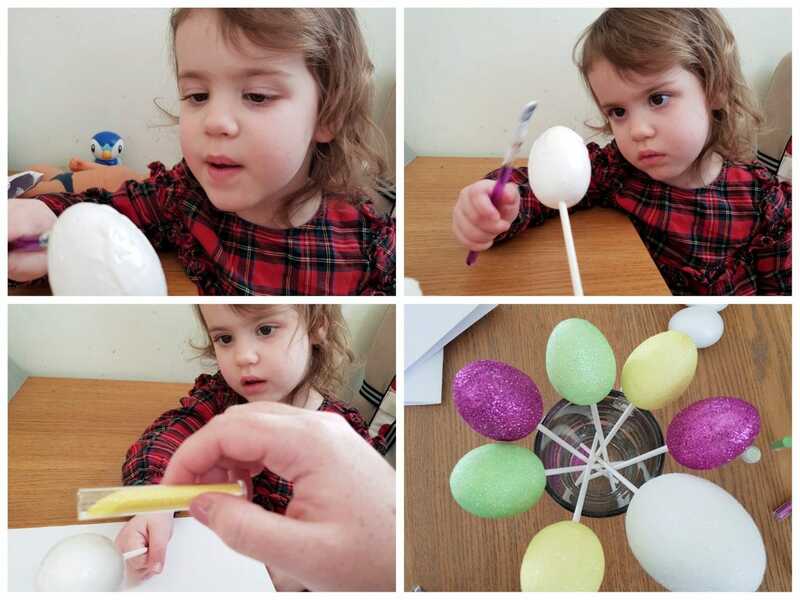 Simply push down each polystyrene egg on to a large lolly stick. You should be able to this just with gentle force. Next, cover the egg in a good coating of glue, taking care not to leave any gaps. Finally, just pour glitter all over your egg! Make sure you have a piece of card or paper underneath your egg so that you can collect and re-apply the glitter to any gaps as you go. 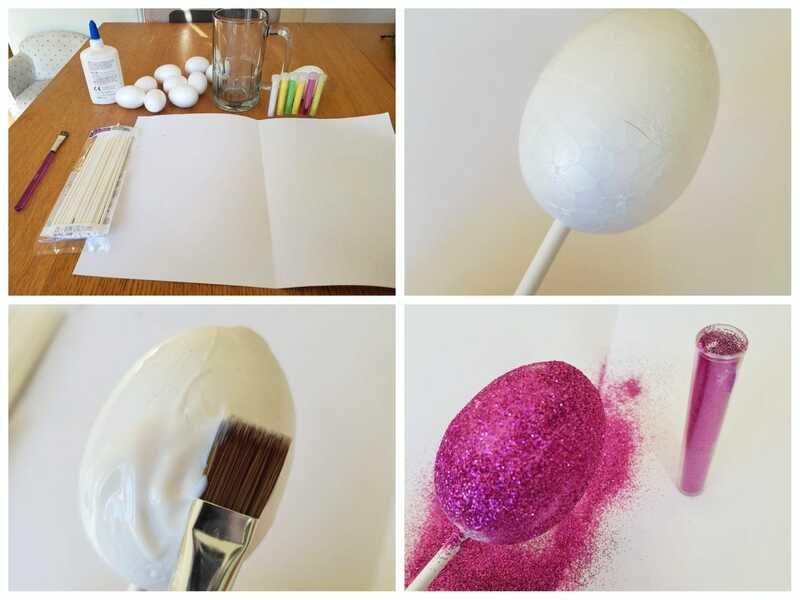 After about three or four rounds of pouring the glitter, your eggs should be coated. 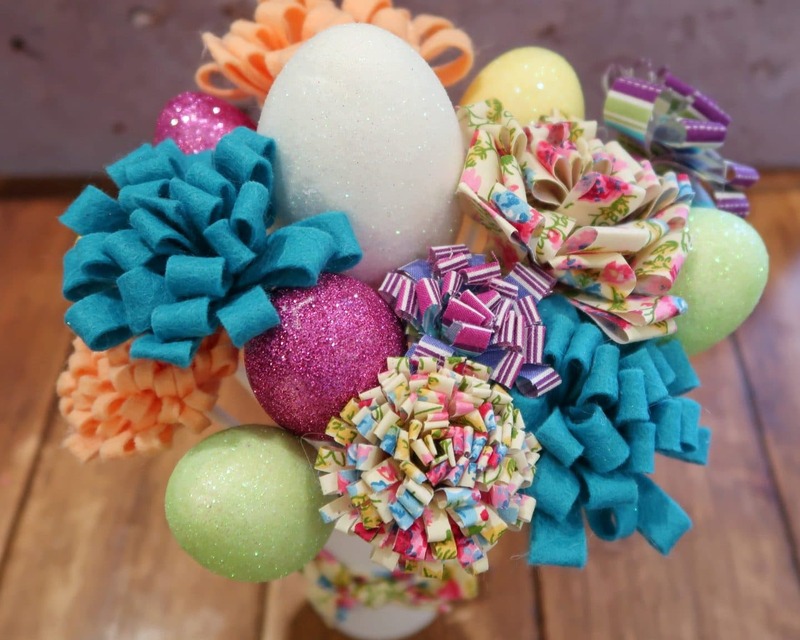 If you want to make a bouquet or decoration piece that uses both fabric flowers and glitter eggs, you could just place a selection in a vase or cup. 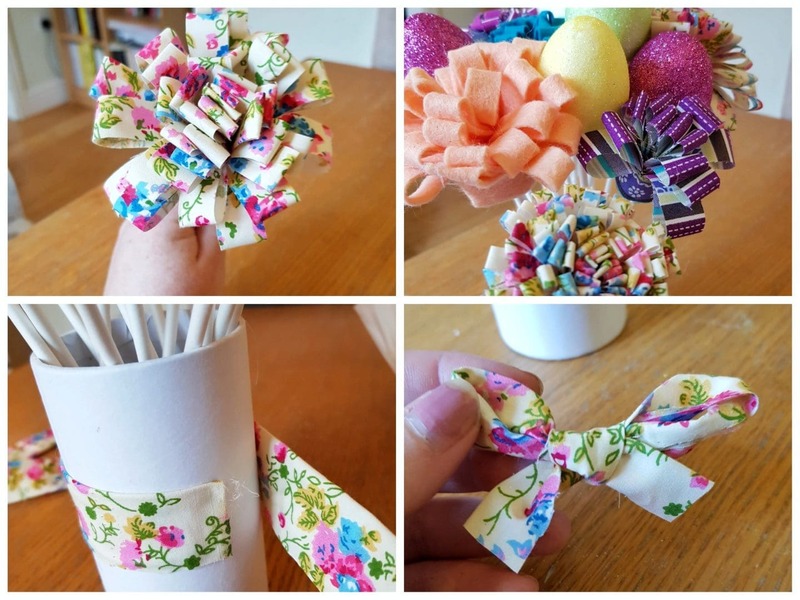 I used a small cardboard pencil holder (you can get them at craft shops) and added a ribbon that matched some of the fabric used to make flowers. 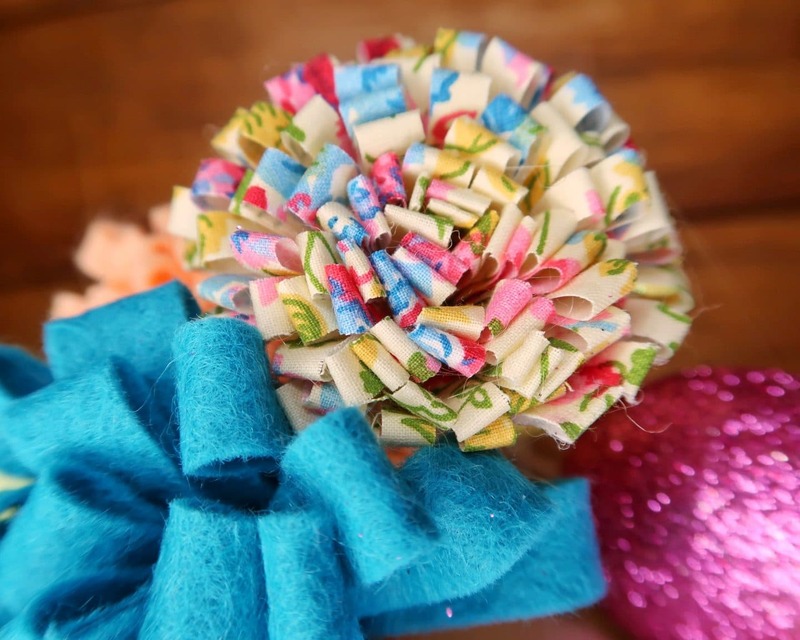 The strip of fabric was one left over from my flowers and I used the hot glue gun to attach it to the pencil holder. Lastly, I tied a bow in the same fabric and glued that on top of the ribbon strip. 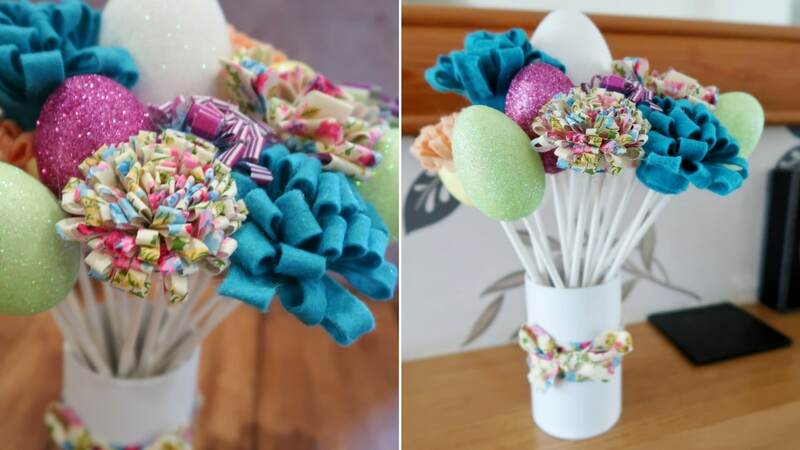 Then, I arranged my glitter eggs and fabric flowers in the container. The glitter and colourful fabric is now cheering up my mantelpiece while we wait for spring to arrive. Please note, Bostik send us a range of craft materials every month in order to complete our craft challenge.